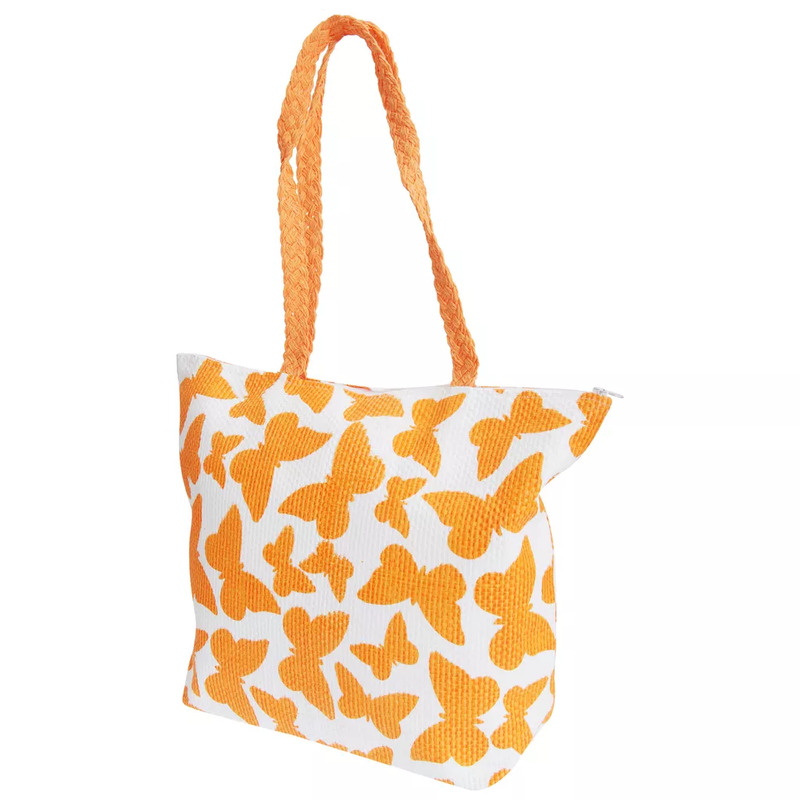 Ladies handbag with paper straw woven build and butterfly print design. Main compartment secured with zip fastener. Sizing: Width- 44cm (17in) x Length (Not Including Handles)- 33cm (13in) x Depth - 13cm (5in).